By The New European on	 5 March 2014 Gender Equality, What's Up Europe? Viviane de Beaufort is Professor of European Law at ESSEC (France) and expert to the European Union, particularly in comparative governance. During the first Women’s Forum in Deauville in 2004, she met women in high positions with very different career paths, who had, for the majority of them, come up against the “glass ceiling”. This prompted her, as an academic, to engage and to pay particular attention to women’s progress in the areas of entrepreneurship and corporate governance as well as to the feminisation of power and its consequences. Ten years later, she has conducted numerous studies on these topics and founded the very first training programmes dedicated to women in Europe. Can we say that gender equality is steadily increasing in Europe? What does the European Union do on this issue? Europe has always been a pioneer in this field. Gender equality is part of the general principles of law and is a “mainstream” policy. The European Union urges Member States to move forward. For example, countries such as Germany and the United Kingdom, which did not want to hear of quotas or legal actions, began to move in that direction. Gender equality is therefore increasing. However, it requires a constant mobilisation because nothing can be taken for granted: a system’s resistance to change is always strong. What are the barriers to female entrepreneurship? To clarify, two types of barriers can be distinguished. On the one hand, there are external barriers, which can be overcome by changing the system as a whole, including perceptions and stereotypes. Firstly, entrepreneurship is still considered to be a male attribute, even among women. As a consequence, women feel less entitled to become an entrepreneur. Then, there is the problem of gender in education: although women are on average better educated than men, they are still under-represented in management or engineering studies, which provide useful bases for starting a business or generating innovation. The last point is access to finance. During the presentation of a business plan to bankers or investors, women don’t express themselves in the same way as men. They express their ambition in terms of sales and forecasts more tentatively. However, surveyed banks say that projects led by women are often better prepared and more cautious and therefore more than welcome, especially after the crisis! There is therefore a real problem of language and women still need to get used to a largely male-dominated business culture. This already touches upon internal barriers, doesn’t it? Yes, I call them the “engine brakes”. In other words, women suffer from an “imposture syndrome”, which makes them doubt, fear risks and try to control everything. They are cautious, which is good, but only to a certain extent. Starting and developing a business means, by definition, taking a risk. We must therefore help them become aware of this attitude and release the handbrake to shift up a gear by offering them appropriate support: coaching, mentoring, etc. In addition, women often have a different vision of success than men. When they are asked, “Why do you start a business?”, their reasons are not money or power, but a desire for autonomy, a search for meaning and the opportunity to hire and lead a collective project. This model of entrepreneurship and governance is more sustainable and based on the commitment of the creator and his or her team, which makes it better suited to our society. This is a more modern leadership shared by the younger generation, including young men. You have created the very first programmes dedicated to women. What are they? The first programme that I founded in 2009 is “Female Entrepreneurship-ESSEC”, which is dedicated to women with a project. It has been redesigned this year thanks to our collaboration with e-learning platform “TV des Entrepreneurs” and it lasts 6 months. The first part of the programme offers e-learning courses which vary depending on the profile and project of the participant. The second part takes place at ESSEC in the form of workshops conducted by networks of professional women to help the participants refine their project. The next part of the programme requires participants to give a presentation to a panel of partners to identify strengths and areas for improvement. Afterwards they can continue in business incubators, such as in ESSEC Ventures or Paris Pionnières. Increasingly, participants are young women who are aware of the benefits they will get from such a training and network. The programme « Women Be European Board Ready » specifically addresses women with a high level profile who need help with taking the final step in order to access governing bodies such as Board of Directors, Executive Committees and Management Committees. With a team of academics and experienced practitioners, we offer fundamental courses: the functioning of a Board of Directors, the meaning of governance, and the legal responsibility of an administrator. But we also provide more innovative courses on economic intelligence, lobbying and CSR issues, because I would like them to bring change to these bodies. With help of a team of coaches, psychologists and role models, they also work on their posture in order to be better prepared for these circles of power where male codes of conduct are the norm. Finally, the programme “Women and Talents” is aimed at young women who have worked for at least 3 years and start to face gender discrimination. We work on soft skills: how to market yourself, to negotiate a raise or a position, to announce a first baby. It will certainly be made available to young girls from ESSEC BS in initial training, in line with the Gender Equality Charter for Grandes Ecoles that ESSEC just signed. How have your research and programmes been received by academics? Research on Law and Gender and Governance and Gender, which are standard research topics in the Anglo-Saxon world, are rather controversial in France and in Latin countries in general. You need a pioneer mentality and should not be afraid of being criticised because you identify possible gender bias or minority-majority patterns. There are no other programmes dedicated to women in France or in Europe that are as structured and with such a strong supervision. But things change. We should not give up. 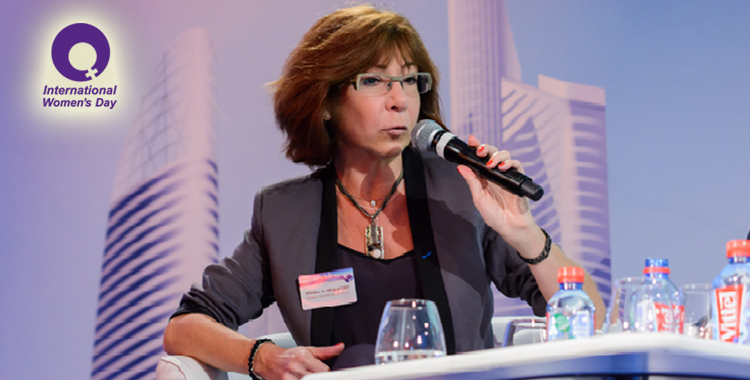 In France, for example, the Agence pour la Création d’Entreprise, chaired by Frédérique Clavel, dedicated one part of its website to women entrepreneurs. Such initiatives are also launched by the Ministry. “Affirmative Action”? I would rather speak of “catching up actions”. What is the role of associations in civil society in the promotion of female entrepreneurship? Their role is essential. Most of my time is actually dedicated to create and maintain links with civil society organisations and professional women’s networks, whether they are generalists such as the Professional Women’s Network (PWN), dedicated to entrepreneurship or financing such as « Femmes Business Angels », or to governance such as “Fédération des Femmes Administrateurs”. We cannot do anything without their support. I really believe in the role of local networks which, despite being strongly anchored in the local community, also benefit from committed partners at the regional, national, and European level, whether they are private or public.